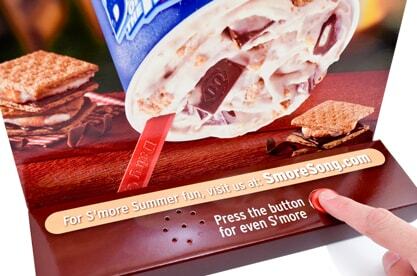 With summer just around the corner, Dairy Queen was gearing to launch a new menu item, the DQ S’Mores Blizzard. Although it was a “new” flavor, the campfire treat S’mores has been a well-known food concoction in the US. 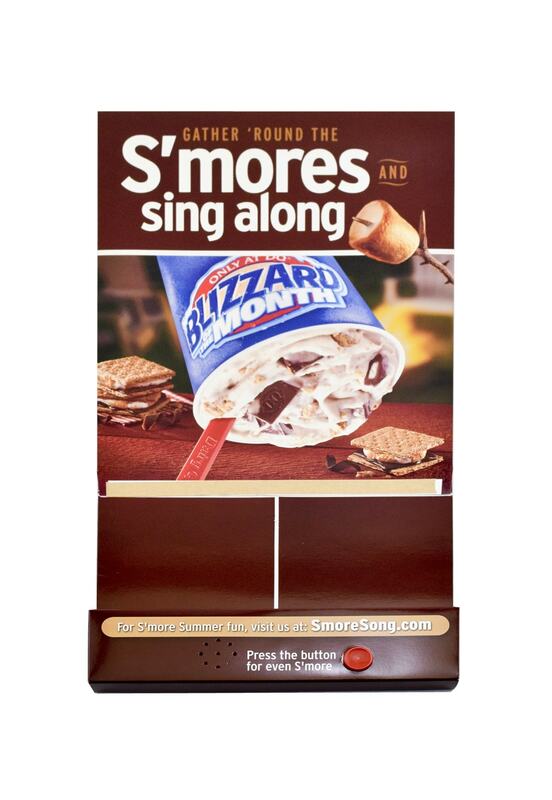 With their target audience already being familiar with S’mores, Dairy Queen needed a way to leverage that familiarity to create a fun and engaging display that would excite consumers about their new treat. 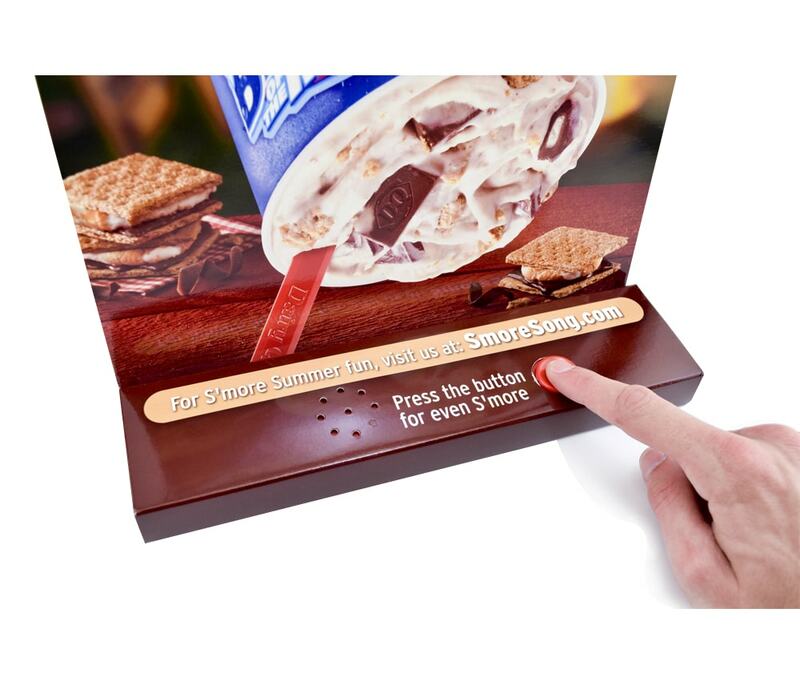 In order to get consumers excited about Dairy Queen’s new menu item, Americhip produced an interactive table tent. The table tent had images of the new product along with the traditional main ingredients of the popular treat. With the familiar sights of S’mores hitting the audience, the next logical step was to deliver sound. 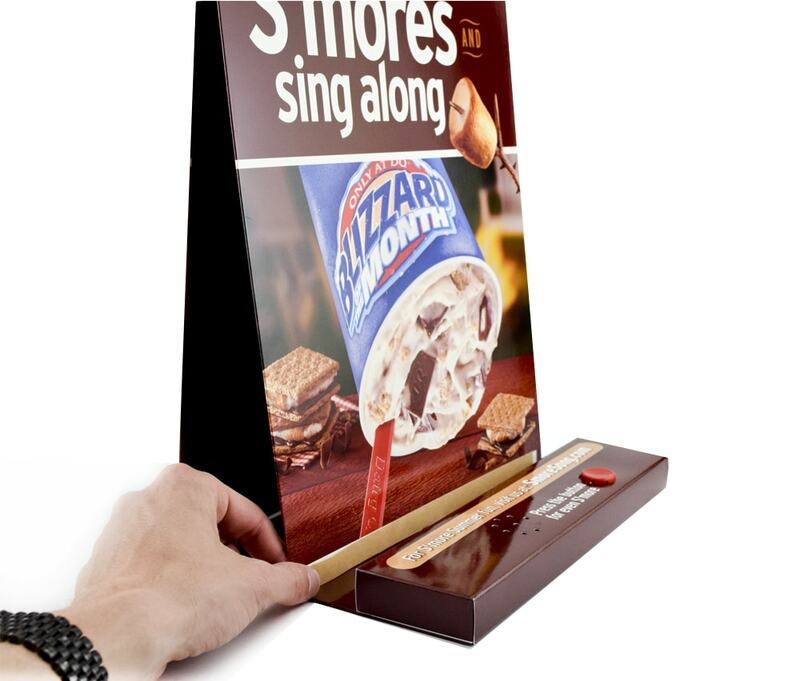 Through the use of an audio chip, the table tent also invited consumers to engage with the table tent by singing along with Dairy Queen’s rendition of a S’mores campfire song. A prominent button was placed onto the table tent for consumers to incessantly hear and sing along with the catchy 10 second tune. 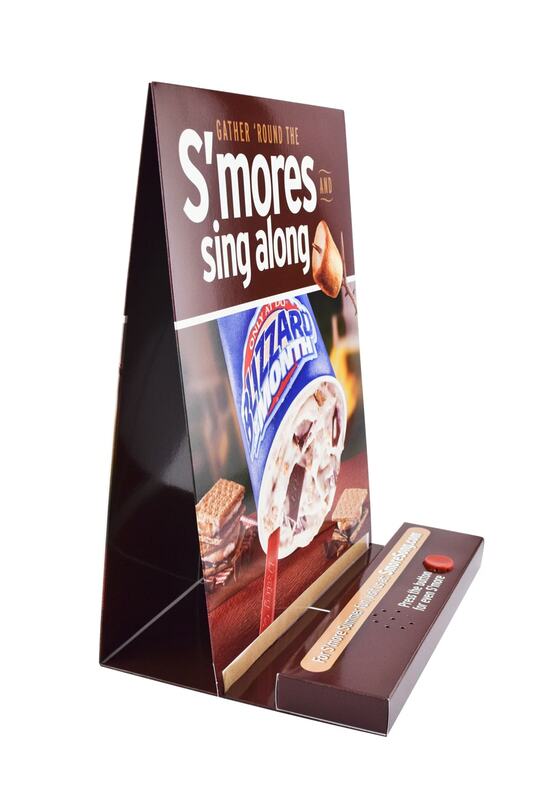 The table tents were launched in the summer, a perfect time to induce the nostalgic power of S’mores.